At Combi-Nation we have a wealth of experience in all aspects of Central heating. Whether you require your existing system upgrading or a complete new system we can recommend something suitable to meet your exact requirements and budget. 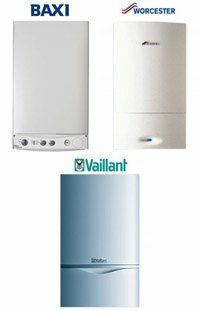 We are a highly recommended installer for Vaillant one of the leading boiler manufacturers and also supply and fit a wide range of other manufacturers to meet your exact requirements and budget. We pride ourself on our high level of customer service and have built an excellent reputation on being a customer focused company. Once work has been carried out, we stay in contact to ensure that your boiler is annually serviced to ensure that you get the best out of your system. All boilers come with full manufacturers guarantees. Customers come back to us time after time for proven heating engineers in Rotherham. For a free no obligation quote contact us now to discuss your heating & gas requirements on 01709 204881 or email us by using our online enquiry form.